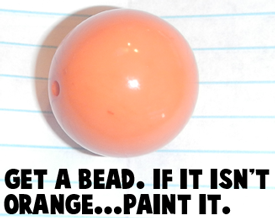 Get a bead. 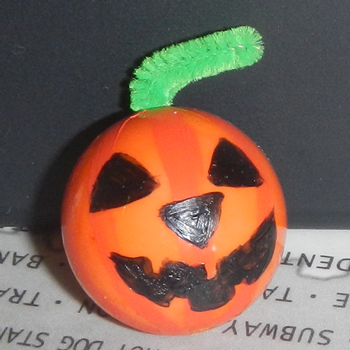 If it isn’t orange…. 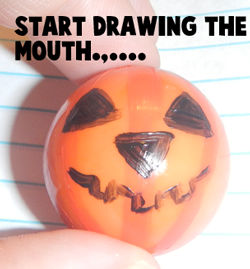 paint it. 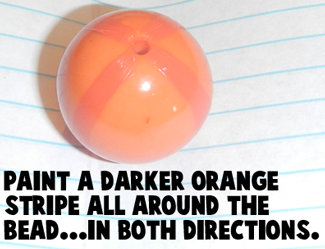 Paint a darker orange stripe all around the bead… in both directions. 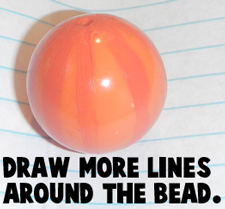 Draw more lines around the bead. 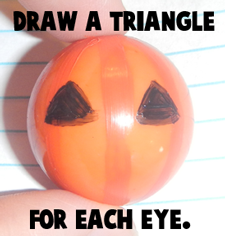 Draw a triangle for each eye. 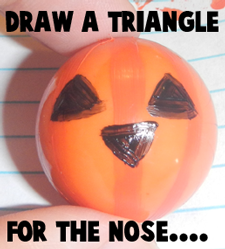 Draw a triangle for the nose. 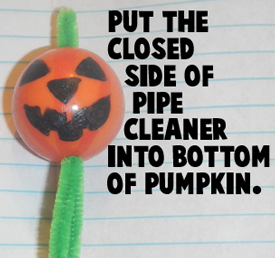 Take a piece of green pipe cleaner and fold it in half. 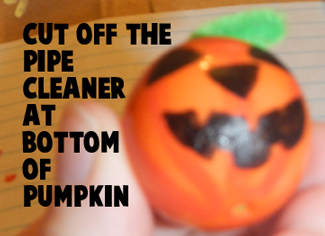 Put the closed side of pipe cleaner into bottom of pumpkin. 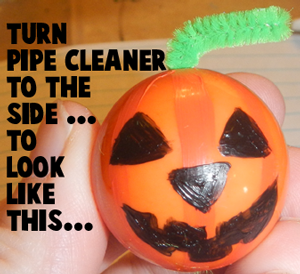 Cut off the pipe cleaner at bottom of pumpkin. 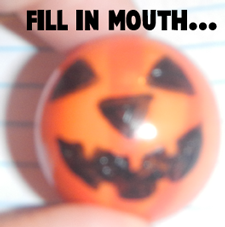 So, there you have it…. 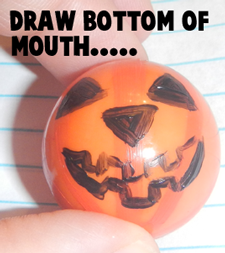 a simple and fun Halloween Craft. 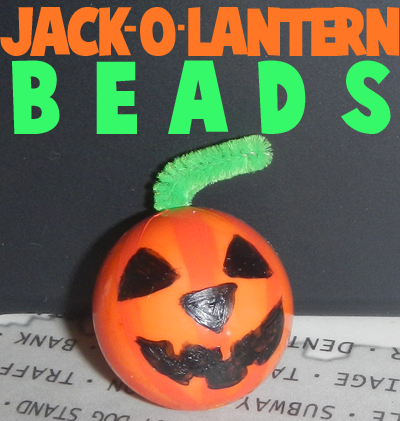 Make a bunch of Jack-o-Lantern Beads and add them to a bowl for a wonderful Halloween Centerpiece.